I didn't know it'd only been around for a year. 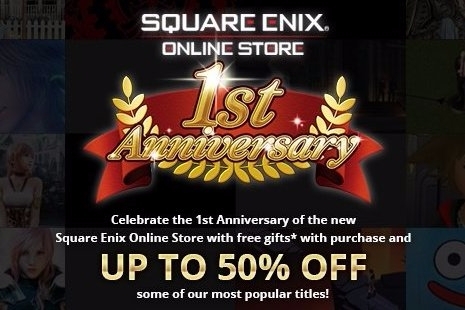 Square Enix's online store for North America is celebrating its one-year anniversary by offering massive savings on a wide range of physical copies of games. I for one thought I had ordered something from the store longer than a year ago, but I may just not remember correctly. Buying $20 or more nets you a free lanyard, which is pretty neat, and all orders over $100 get free shipping!